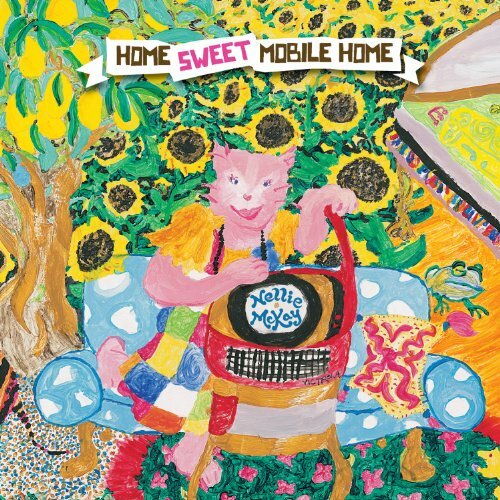 Singer-songwriter Nellie McKay's fifth album, Home Sweet Mobile Home, will be released on Verve Records this September. Her second album for the label follows her 2009 album Normal As Blueberry Pie - A Tribute to Doris Day, which was selected by The New York Times, Huffington Post and The Village Voice as one of the best of the year. Home Sweet Mobile Home is McKay's first album of all-original material since 2007's Obligatory Villagers, and has the musical wanderlust, lyrical playfulness and sharp point of view that has characterized her music since her breakthrough debut Get Away From Me. Songs from the new project were recently debuted during her NYC engagement at Feinstein's, and the New York Post noted that "songs like 'Bodega' and 'Caribbean Time' feature whimsical humor and social commentary that blended in beautifully alongside the standards from the Blueberry Pie album." The new album, produced by McKay and Robin Pappas, was recorded in Los Angeles, New York, Jamaica and the Pocono Mountains and, even more than her previous albums, combines diverse musical moods and cultures. "I have no idea how this album happened," says Nellie. "I guess I was looking for a sound to reflect our shrinking world and the bleed of culture crossing all kinds of borders." Reviewing a recent McKay show, Stephen Holden from The New York Times described her as a "vocal chameleon," and that varied musical palette is used to great effect on the 13 songs on Home Sweet Mobile Home. McKay has released four critically acclaimed records and appeared on Broadway (winning a Theatre World Award for her role in the revival of The Threepenny Opera) and on film (acting and singing in P.S. I Love You). She also wrote and performed the song score for the Rob Reiner film Rumor Has It. The Chase Brock Experience recently produced a ballet of her third album, Obligatory Villagers, while Nellie is currently playing opposite violin prodigy Philippe Quint in the independent film Downtown Express and contributing to the soundtrack for the upcoming Martin Scorsese HBO series Boardwalk Empire.